Flickr users upload close to 100 million photos to the photo-sharing site each month--and according to Yahoo, the iPhone continues to be the most common "camera" they use to upload all those photos. As more people leave the digital SLR--and even the point-and-shoot--at home, it's worth taking a look at how to get better photos from a smartphone. A few weeks ago I shared my five favorite iPhone apps, so this week I'll run through four handy tips for taking better smartphone photos. (If you have an Android handset, check out top photo apps for Android.) Consider the following to be bonus tips that complement my 11 tips to ensure great smartphone photography. Your phone doesn't have any of the sophisticated exposure mode options that a full-featured digital camera does. But you might not realize that you can tweak the exposure anyway, even without a spot meter or an exposure compensation dial. All you have to do is tap the screen. You probably already know that you can focus the iPhone's camera (and those of many other smartphones) by tapping the screen--the camera immediately tries to focus on whatever point you tapped. What you might not know is that the camera sets the photo's exposure off that part of the scene as well. Point your phone at a high-contrast scene, such as a dark room with a lamp in one corner. On the phone's screen, tap the lamp, and then tap a dark part of the room--you should see the phone adjust the exposure accordingly. Now you have no excuse for taking photos that are radically misexposed. If your phone has a High Dynamic Range mode, as the iPhone does, you owe it to yourself to disable the flash and use the HDR mode instead. About 90 percent of the time, you'll get better photos with the HDR mode than with the flash. You might be wary of the HDR mode because you know that it usually works by taking several photos with different exposures and then combining them into a single shot. Well, fear not: Most smartphones that offer built-in HDR modes, the iPhone included, cheat by taking only a single photo and tweaking its dynamic range. So you won't have to stand around for 10 seconds trying to hold the phone steady. If you insist on using your phone's flash--or if you are shooting in a particularly dark location that requires extra light--you don't have to compose your photo in the dark. Many camera apps let you turn the flash into a flashlight, so it fires continuously. 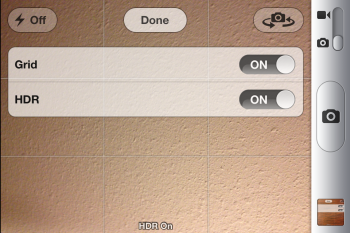 Recently I recommended Top Camera, for example, and it has this feature. Turn on the flash, compose your shot bathed in the luxury of the light it gives off, and then take your shot. The flash turns off automatically after the exposure, helping to save your battery. Believe it or not, you can attach add-on lenses to your iPhone. Although I think this option is a little geeky even for me, such lenses do give you the ability to turn your lowly smartphone into a camera with a telephoto lens, a wide-angle lens, or even a macro lens. Interested? You can find a wide assortment of lenses that snap or magnetically attach to the iPhone at Amazon. Daniel says: "I took this at Little Round Top in Gettysburg. As many photographers packed up to leave when the sun went behind the clouds, I stayed, knowing something magical would occur, and it did. I shot this with a Nikon D90, using a Sigma 10-20mm wide-angle lens. I took three exposures and combined them into a high dynamic range (HDR) shot with HDR Efex Pro." 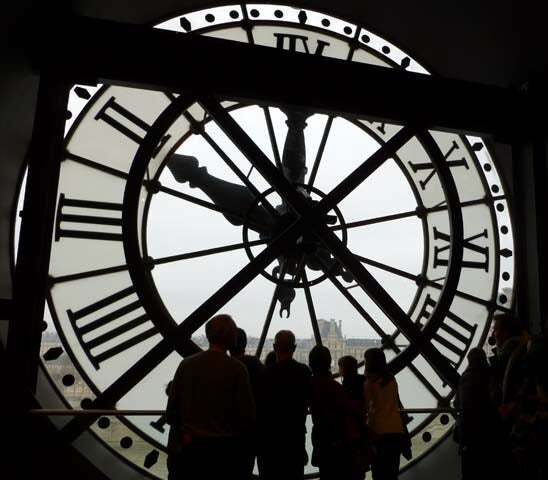 Ethan writes: "I shot this at the Musee D'Orsay in Paris back in December. The use of flash was not permitted, so I shot this using natural light." He used a Panasonic Lumix DMC-FH25. Have a digital photo question? Email me your comments, questions, and suggestions about the newsletter itself. And be sure to sign up to have Digital Focus emailed to you each week.